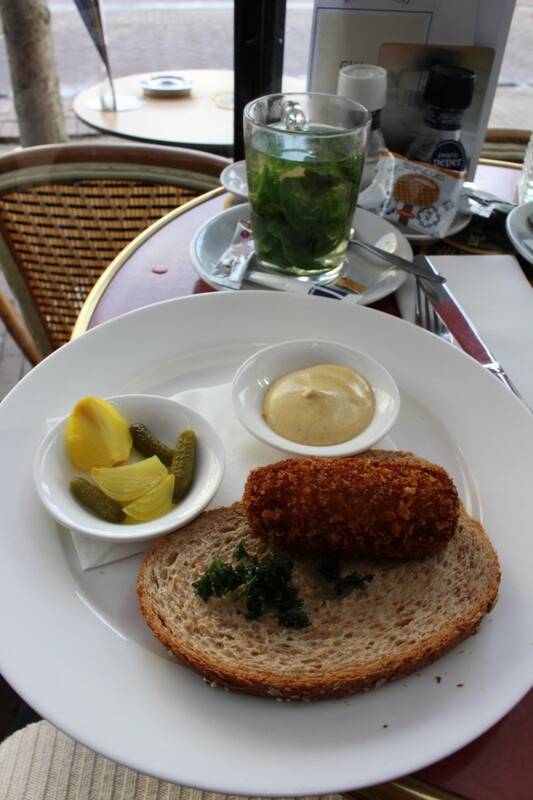 I realize that in my posts while in the Netherlands, I often talk about Dutch food and I think it is definitely worth discussing some of these must-try foods! You might recognize some from previous blog posts but they definitely deserve to be elaborated on, don’t you think? Here goes my top 18 list of must- try’s! Stroopwafel: These cookies are addictive so beware! Stroopwafel in English actually means “syrup waffle” and is one of the most delicious cookies I have ever tasted. It is made of a think layer of dough on each side and caramel in the middle. You can find these in almost any food store in the Netherlands and even in food trucks on the street that make fresh ones. Nowadays you might find versions with chocolate or double caramel, but before trying those try the originals, you will not be disappointed! When I am travelling somewhere, I usually buy a few packages in the airport as they are a great souvenir to take and I have not yet met a person that does not like them. 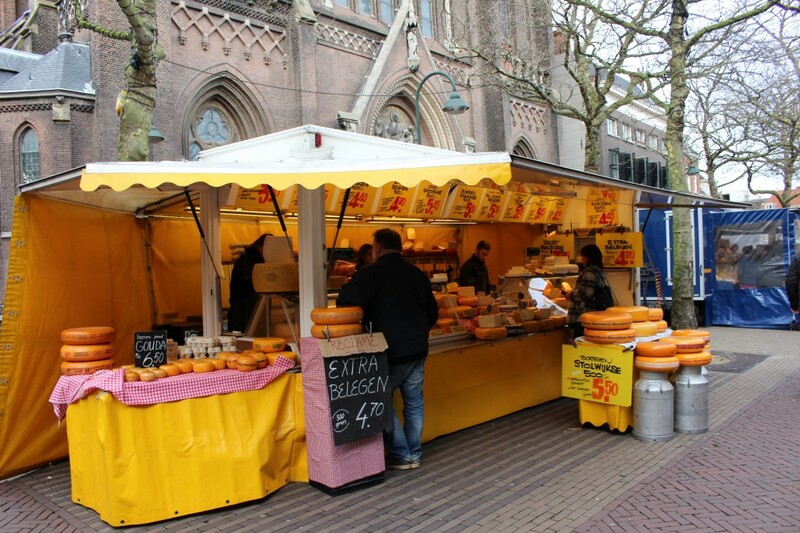 GoudseKaas: Famously known as Gouda, this yellow cheese is made from cow milk and can be seen in its original format in the market in Gouda during the summer. This cheese is known throughout the world so don’t miss out on the opportunity to eat it while in the Netherlands and pair it with some fresh bread. Poffertjes: Poffertjes look like small pancakes. They are fluffy and made of yeast and flour and the original topping is melted butter and powdered sugar. 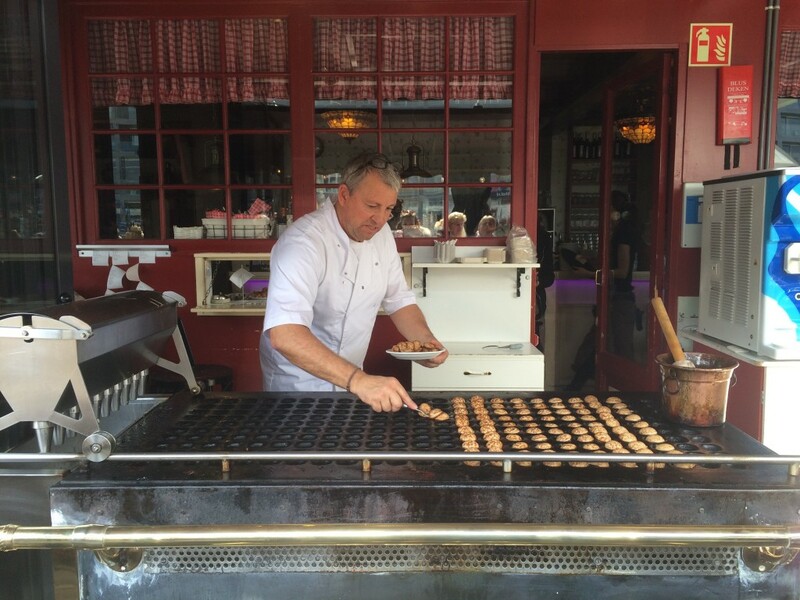 Since I was a kid I have always been eating poffertjes as the Poffertjessalon Seth which is located in the Blaak area in Rotterdam! If you are around, make sure to stop by as they have an extensive menu with different toppings but to start of- try the original. Poffertjessalon Seth in Rotterdam, my favourite place for poffertjes! Appeltaart: You cannot get more traditional than the apple pie! Apple pie for dessert, apple pie with coffee- apple pie all the time! The apple pie I like the most is at Hotel New York in Rotterdam and is a huge slice with big pieces of apple served with whipped cream. This apple pie is almost a meal on its own and is best with some fresh mint tea… it has the crispiest bottom and perfect. Bitterballen: I am quite sure that I have mentioned bitterballen a few timethrough out my Dutch posts. Bitterballen are the best snack to eat with a drink. This food is not for vegetarians as it contains meat and several other ingredients such as parsley in the middle and a crunchy outer surface of flour. These are also addictive and are served in restaurants and bars as snacks. Raw Dutch Herring: Just like the name states it, it is a tradition to eat raw Dutch herring (the fish). It is often found in food markets as well as seafood stores and what you do is put some onion on the fish and put the entire thing in your mouth. I must say I am not the biggest fan of this although it is good to try at least once and it also gives a good photo opportunity. Chocolate Letters: Chocolate letters are very common during the Christmas season and it is a great thing to give friends (there is a chocolate in the form of every letter in the alphabet and you give a person the first letter of their name) especially during St. Nicholas. These letters can be found in most shops with the prices ranging from 1 euro to the more expensive and exclusive ones. They are also ranging in type of chocolate from milk chocolate to pure or with nuts. Dutch liquorice: Also called “drop” in the Netherlands, the liquorice comes in many shapes and forms and can be both salty and sweet. The traditional is black and salty and it is quite an acquired taste but most Dutch are crazy about it- so make sure you give it a go. This can also be bought in the supermarket, convenience stores and often in pharmacy’s. Dutch French fries: These French fries are completely different from French fries you might eat anywhere else in the world! They are crispy, thick and absolutely delicious and must-have with mayonnaise! They can be found in most shopping areas either in food trucks or food stalls not in the regular fast food franchises! Ontbijtkoek: Literally called a “Breakfast cake” in English although it is not really a cake. This is a type of dutch spiced loaf mostly made of rye and spices and Is eaten in the mornings for breakfast with some butter or during tea time in the afternoon. It is delicious and low in calories! It can be bought in supermarkets. 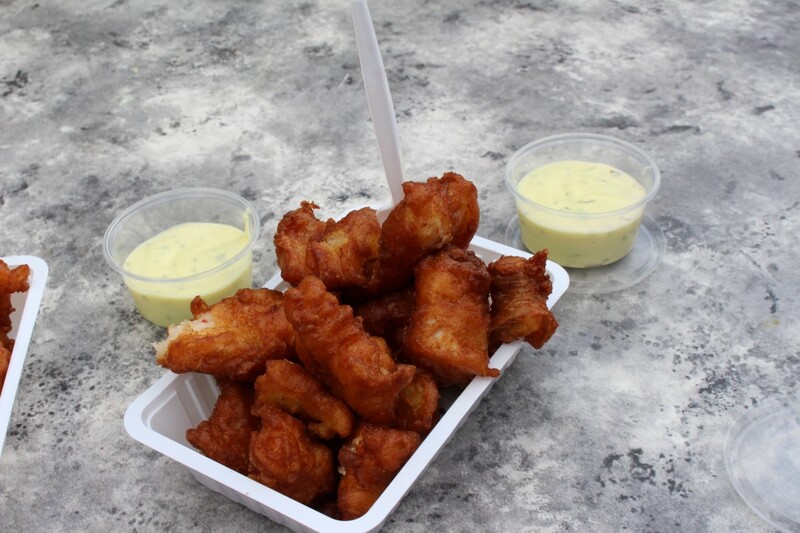 Kibbeling:Kibbeling is also found in most food markets or sea food stores and is fish that has been deep fried in batter regularly served with mayonnaise (Ketchup is not very popular here) tartar or garlic sauce. It is also a snack and easy to share! Oliebollen: You might have read about this in my blog near around the Christmas and end of the year because these are only sold in that time period! 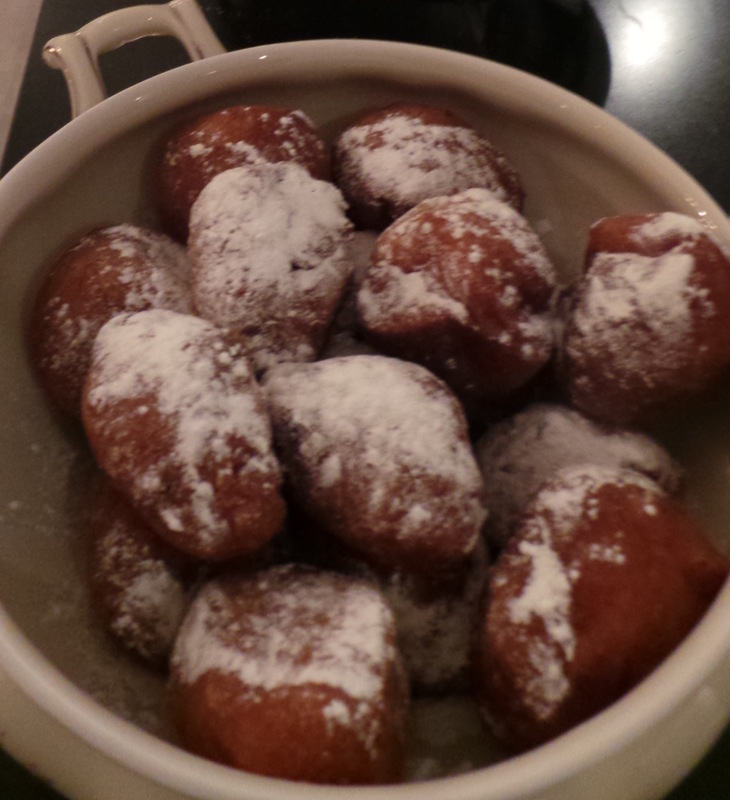 Oliebollen are deep fried dough which often have raisins and are topped with sieved sugar. 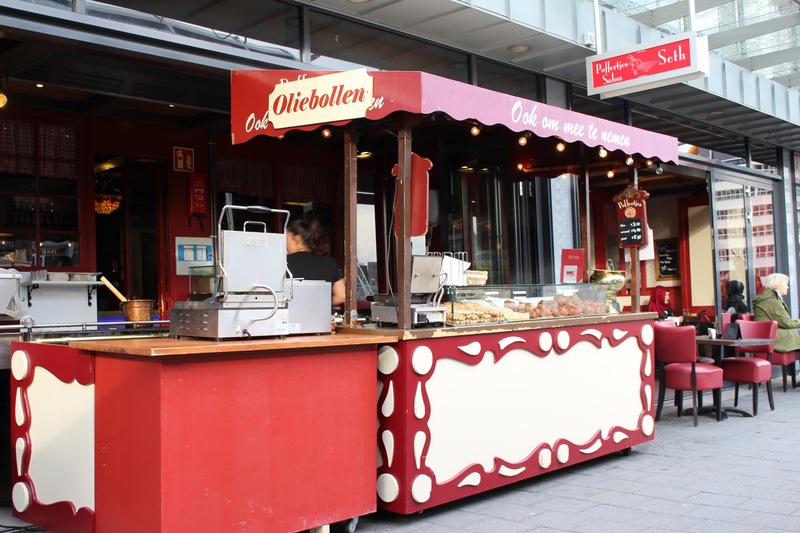 They are found in special food trucks which can be distinguished easily as they usually only sell oliebollen and other desserts such as apple flaps. Traditionally these are enjoyed during the New Year celebration so make sure to try them! Sate: Sate is a dish of either skewered chicken, beef or pork that it usually served with fries a salad and a delicious peanut butter sauce that completely makes the dish! It is actually an Indonesian recipe but it is very popular in the Netherlands. This meal is very popular and served in café’s and restaurants for both lunch and dinner. This is one of my favorite comfort Sunday foods when I don’t feel like cooking. I don’t know if you are aware but there are many Indonesian foods that are very popular in the Netherlands, for example the Rijstaffel or “rice table” which I have not personally tried, but will for the next list. Erwtensoep: This is the perfect soup for the cold winter days that have passed and are approaching us. This is a thick pea soup served mostly in winter that has pieces of vegetable and pork, it is served with fresh bread and is absolutely delicious! Similarly to other dishes mentioned it is also served in café’s and restaurants, so when looking for something to warm you up- don’t look further. Kroket: Kroket is one of my ultimatefavorites and it is funny because it is almost the same as a bitterball (mentioned above) except it is a bigger and longer version. Kroket can be found in food trucks, café’s and restaurants and is either served on a piece of bread (White or integral) or with french fries and a small salad. It is accompanied by mustard and it is a great lunch! Hagelslag: Almost the entire Dutch population grows up eating Hagelslag for breakfast and even though I lived abroad growing up, my father would always bring some home for me. Hagelslag are chocolate sprinkles that are eaten on bread with butter. Like most things nowadays there are many versions of it but the classic milk chocolate one is my favorite. You can find this in the supermarkets and also at the airport shops so make sure to take a box with you. Pannekoeken: Dutch Pancakes are so different from any other pancakes. They are thin and soft but crispy. They are topped with syrup and powdered sugar but often they are topped with some additional ingredients such as; cheese, bacon, apples, etc. There is something for everyone! The best place to eat this would be at a café or even a pancake house where pancakes are their specialty. This is usually eaten for lunch but can also be for dinner. Rookworst:Rookworst can be translated to “Smoked sausage” and is a Dutch sausage made with ground meat that is condimented with spices and salt. This can be found in the supermarket, café’s and food markets and is often enjoyed for lunch or dinner with some vegetables. Let me know which one of these 18 Dutch foods is your favorite or if you try something else you think is worth mentioning. Looking for a place to stay in the Netherlands? Book a room now!